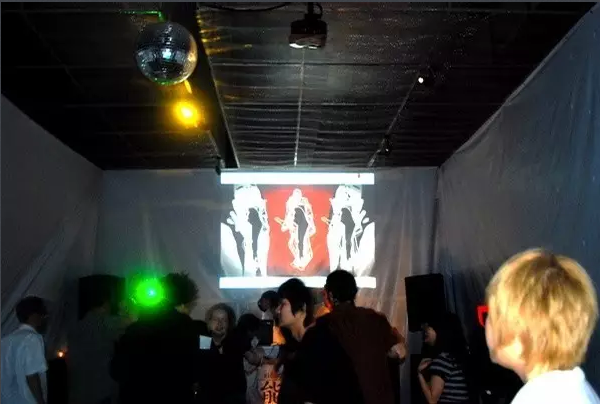 10 years ago my club Underground was born in Chengdu, it was the first underground club of this city, and was the most important memory of my life. 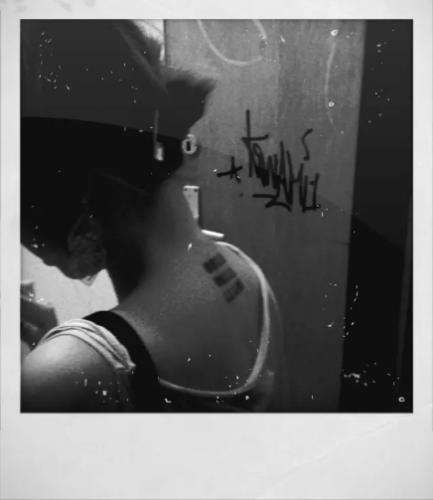 I put a binary code of the date -- 28th July 2006 as a tattoo on my back after it closed down. During the last 10 years, I have never forgotten this small club. I carried on its spirit till today, till MIST's birth. 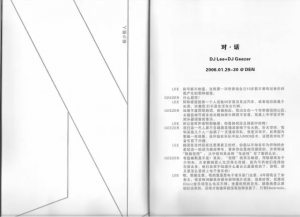 On this special day, I want to repost this article about Chengdu's club scene which I wrote for Wooozy.cn last month. 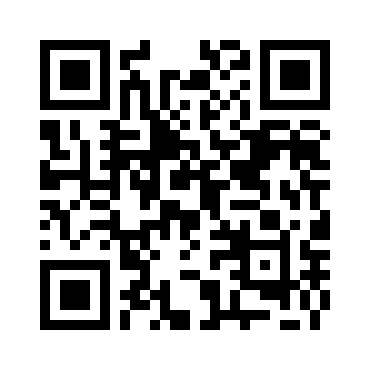 Special thanks to Lydia McAulay who translated it. "This was the best time of my life. " Lots of people know Cvalda, mostly due to the fact that over the years she’s come to be known as the “Chengdu representative”. Through out the scene in China she’s gained a reputation as a force for positive change in club culture. Actually she’s a veteran of the Chengdu club scene, starting out as a fan then transitioning to DJ, Promoter to organising her own events, even designing the posters. As part of her work she dives down into every aspect of club culture. 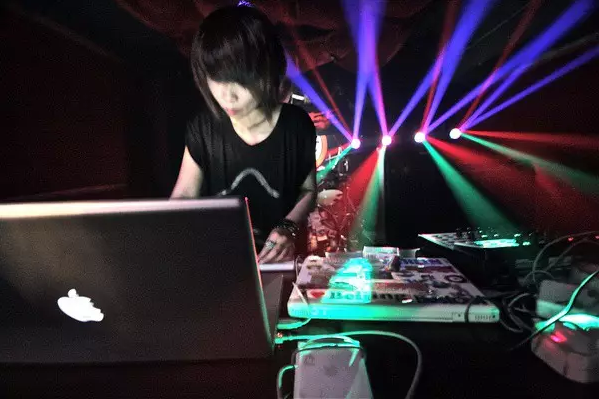 Her passion is fuelled by her memories, spanning several years of the Chengdu club scene. Looking at the current scene she can't help but wonder if other fans, unaware of all that’s happened in the past, can really understand and feel the uniqueness of club culture here. "Back in that time when everyone rode bicycles, we were riding our bikes to parties, but actually there weren’t that many people that really got what we were up to." 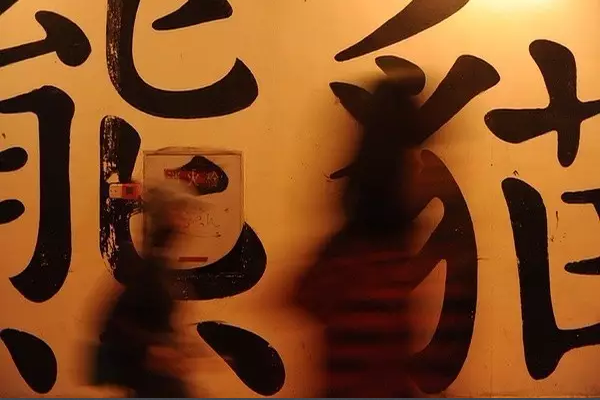 "Chengdu people have this way of living, this mentality that relaxing and enjoying life is more important that money, so you get the feeling the people here really know how to enjoy themselves. The previous generation hang out at tea houses, play Mahjong, have their dogs and their pet birds. Our generation love to dance." "From the very beginning when the first club opened the “enjoy life” chengdu people were continuously seeking new and innovative ways to have fun. Over the years various clubs had their ups and downs but be it popular music or underground they always managed to find a place of their own. 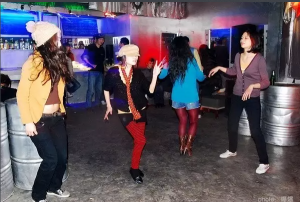 Locals treat going out dancing or even just going out to one of these small bars for a drink as something that is inescapably part of every weekend." " From when I was little I wasn't a good kid, it was around about when I started junior high school (92/93 ) when the first club had just opened in Chengdu, about that time I went along to check it out. The club was called “M-Town” the full name was (M-town plaza/square disco). Everyday after school I’d pass it on my way home, the logo always caught my eye. On the TV there were these daily adds ‘If you come you’re M-Town’. There was a sort of mystic about the place that attracted me to it. This was back when everyone rode bicycles, we were riding our bikes to parties, but actually there weren’t that many people that got what we were up to. The ringing of the music in your ears, DJ’s in sunglasses, bodies packed in moving in time to the music like an unspoken religious ritual. Tickets and booze were all kind of expensive and you wouldn’t just sit anywhere cause you might have to pay for the table. 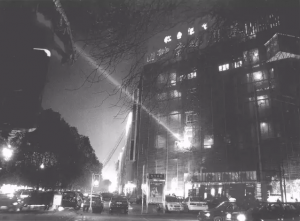 Back then there were a lot of Clubs opening up in Chengdu, mostly those sort of large clubs though, but when I think back on it the interiors of these clubs were actually kind of cool. (M-town for example was an old movie theatre adapted to be a club, the waiters would wear silver uniforms and it was decorated really futuristic). 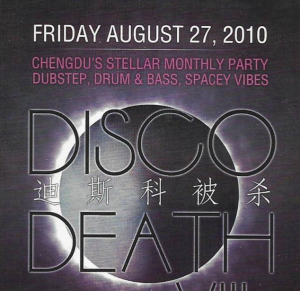 This period was when Chengdu commercial clubs were still in their infancy, although they were still quite commercial for a Chengdu crowd that was new to clubbing it still felt really pioneering, like it was the beginning of something. " 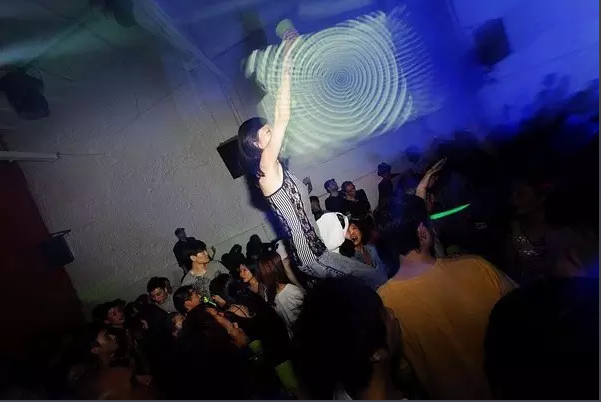 " Around 99 a new type of Club scene hit Chengdu. 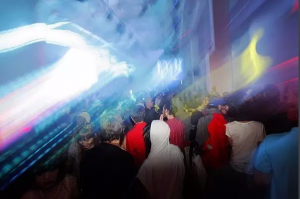 There was a movement slowly transferring it’s way up from the more established scene down in Guangzhou, bringing with it new DJs, new types of music, new dances and also Cantonese style songs. (Basically what we would later come to refer to as canto pop). The most popular was Kakadu, though at the same there were DJs almost every night playing about the same music and we didn’t consider them to be famous for it. Though we didn’t care, we were hanging out there everyday kakadou became a major part of my life during that time. " " I used the money I’d previously set aside to buy DJ equipment to buy shares in a club, that at the time was one of the most pioneering clubs in Chengdu - “DEN” inside Age of Red, cause at the time it was just too cool to pass up. " 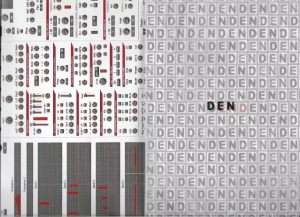 " Around 2004 a good friend, Xiang dong (A well known Chengdu musician) introduced me to this idea. I used the money I’d previously set aside to buy DJ equipment to buy shares in a club, that at the time was one of the most pioneering clubs in Chengdu “DEN” inside Age of Red, cause at the time it was just too cool to pass up. Age of Red was in a kind of crappy unfinished building, the space was really huge, so in addition to the club there was also a music bar called “Qing bar” (Chill bar). 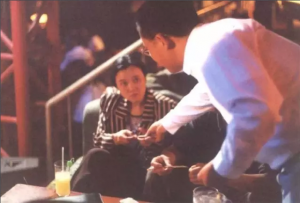 It was pretty common at the time for commercial clubs to have a chill bar as part of it as well as KTV (you guessed it, private rooms) , restaurant, small secretive little bars. (before Den opened) it was like an entertainment complex. " 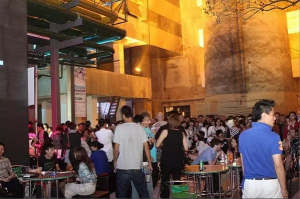 " Den also had a DJ booth, with experienced DJs, (The resident DJ was Xiang Dong) it was a music bar / restaurant, that was kind of the way of doing things at the time. Age of red’s boss DJ Lee was really a pioneer of his time. He was a minimal DJ that I really looked up to, he was really experienced and kind of like a music master. (Publishing books on the subject) he was also a really amazing interior designer (apart from the exterior walls the rest of ‘Age of Red’s’ space was all designed by him) Starting from 97 club “Huigui” (Return) until 2001 when Age of red opened, he was leading the industry at the time, forging into to new areas. 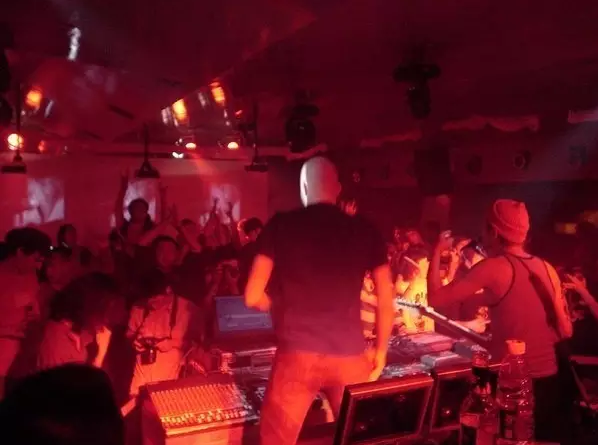 Age of Red was one of the first clubs in Chengdu to bring over big name international DJs like Tiesto,Howie B and Mr C, to name a few. At the time Lee had already started cooperating with Ni Bing, he bought shares in the club and eventually became good friends with both of us, he’s had a huge impact on my life in particular. " 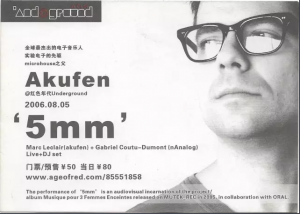 " Den’s predecessor called “Mishi” or Secret Chamber around 3 years later some interesting music events started happening there, like live performances from Wang Lei, Shanghai’s “Mian mian” started coming out reasonably often and brought Paul Oakenfold. In 04 Den opened. We started doing some more creative events. For example we all totally loved Minimal at the time, so we did one Minimal + Shadow play live show. At the time Age of red brought together Chengdu’s most talented DJs and producers, the shadow play event’s music was done by our producer DJ Geezer (My music teacher/master, these days he’s the king of Craft beer. ) 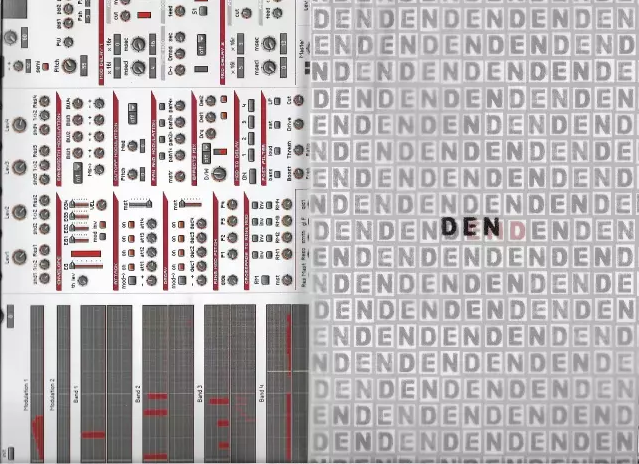 sampling from local shadow play music he put together a Minimal set. 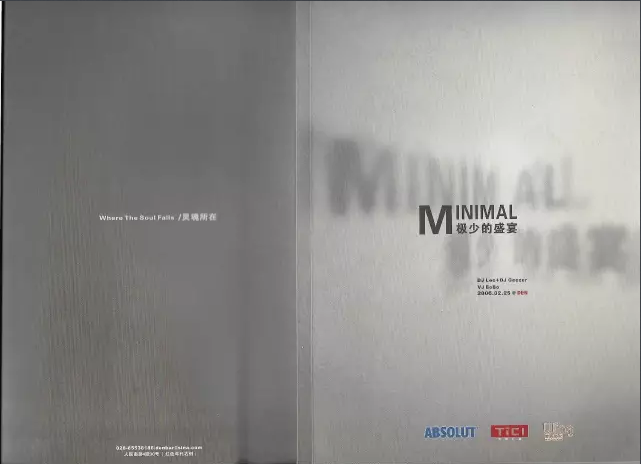 For this event we printed a beautiful small booklet, explaining Minimal culture covering from audio to visual all the aspects of Minimal. " " These were the most beautiful days of my life. " " 06, after me insisting for a while, Lee finally agreed to join me on yet another adventure, to open a real underground club. In order to let everyone know that this club really was totally underground, we chose the name Underground. We split Age of Red in two, sold the east half of it to a KTV, held on to a 300 sq metres space and made it into an underground space. The interior was designed in a minimalist style. At the time we were still working closely with Ni Bing, he brought Akufen, DJ Krush, SoundsLikeSuomi Festival ( including Jimi Tenor ), Meat Katie and loads more amazing artists. This was best time of my life. " 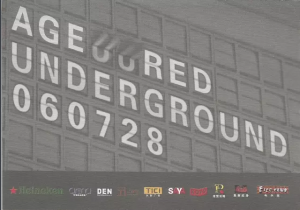 "28th of July 2006 the opening date of Underground, I put the date as my first tattoo on my back coz it was the most important thing in my life." 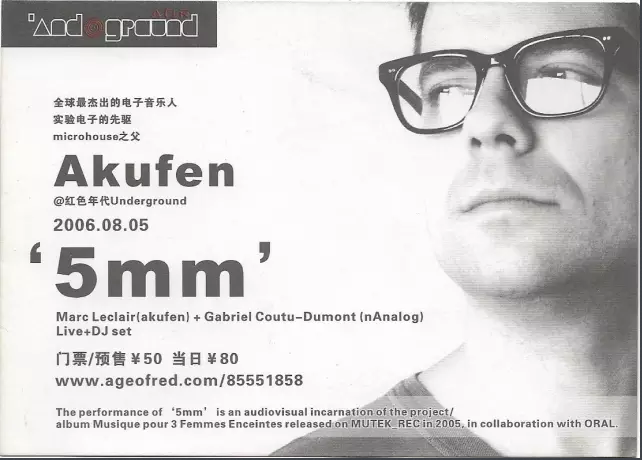 "5th of August 2006, the first big event of Underground, we invited Father of Microhouse - Akufen and visual artist Gabriel Coutu to Chengdu with their audio visual show -- '5mm'. I have to say that was my best audio visual experience ever." "19th to 20th of Oct 2006, Sounds Like Suomi Festival -- JIMI TENOR -- The first time I cried at a show -- it was way too amazing. " " December 15 06 was the first time DJ Krush came to Chengdu, that was the first time Underground was totally crowded. We sold about 400 tickets, the club was totally packed. In the above photo you can see a really tall foreigner, that’s DiscoDeath and Dojo’s Charlie. He later told me he’d only just arrived in Chengdu at the time of that party and now he’s been in Chengdu 10 years already. 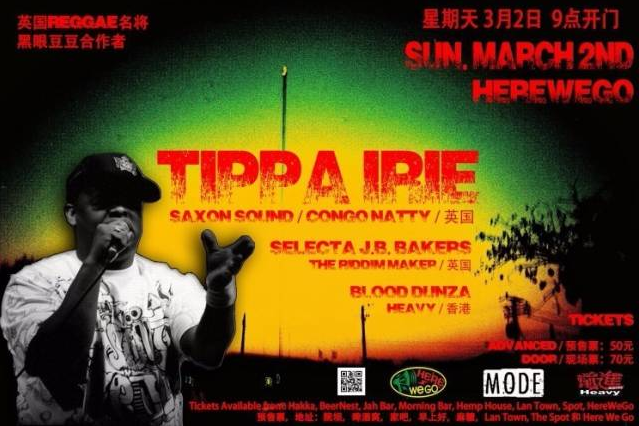 There was actually a lot of the important figures in the Chengdu underground scene there that night. " " Unfortunately after just 7 months Underground closed, there weren’t the cultural roots to support it, so it became to hard to keep it alive. 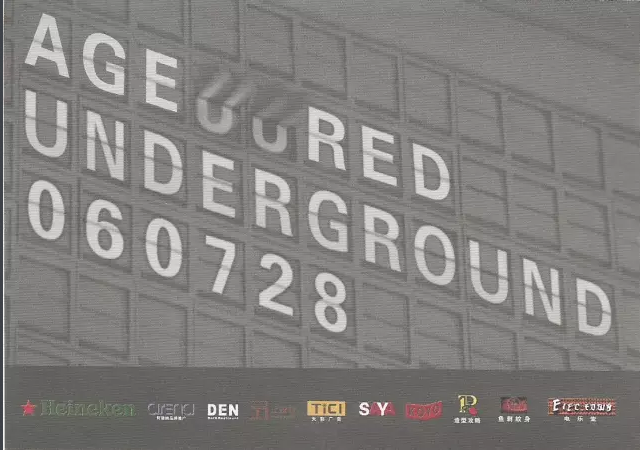 Underground really brought something of significant to the Chengdu to scene at the time. Two years later Geezer and our friend Tan Zhong along with a few other friends opened what would become quite well known in Chengdu “Panda Club”. In many ways it was like the continuation of what Underground was trying to do, and improving on the things that we did wrong. Panda had a closer relationship with local musicians, was more down to earth and as a result was able to survive for quite a few years and was able to bring the Chengdu party scene into a new era. " "The first Panda Club, it was small but nice, I had such a great time there and became a DJ there." " October 2011 after being closed for several months, Panda moved to the East music park. A place that’s a huge remodelled dilapidated old factory. The opening party was a massive two day event, featuring DJ Shadow, it was a big deal. The interior design as before was done by DJ Lee. 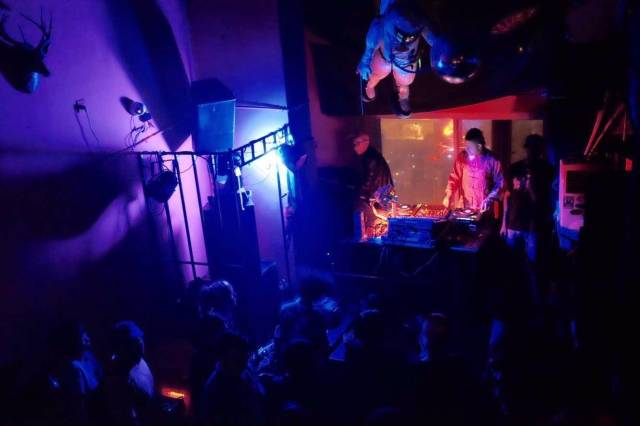 But the space was totally enormous and kind of out of the way, it was just outside Chengdu’s second ring road, so getting to Panda club really had it’s difficulties, traffic jams would often cause the DJs to show up late. At the end of 2012 Panda club shut down. " " The Bug + Daddy Freddy was my favourite gig in Panda club, The organiser was Chengdu Music, founded by a British guy Dave who also found the website chengdumusic.com "
" Panda opened in Blue caribbean square from about 08 and closed for a few months in between, 2011 Panda moved to the was music park. At the end of 2012 it shut down. 2013 the last Panda was at the opening party for Mintown, due to Noise complaints it only opened for 1 day, after that the days of Panda club were over for good. Our parties moved to other places,Cafe Panam, The Hemp House, Lan Town ( The Hemp House and Lan Town both shut down last year due to the added pressure of doing parties post the Poly Centre opening) The Poly Centre opened at the start of 2014. " " HWG（Here We Go), ( The name originates from the name of the ex owners dog) HWG was the Poly Centre’s first Club to open, it’s also a continuation of the underground Panda style of parties, and the underground culture. It’s an interesting place, with no particular set style of music. The clientele consists of a lot of foreigners, all types of strange people, hipsters, Nerds, stoners, students, alcoholics … it’s got everything. Really, it’s totally underground … and on top of that it usually closes the latest out of all the clubs. Every time I play there if I’m not careful I’m playing until sunrise …. and there’s so many awesome events there. 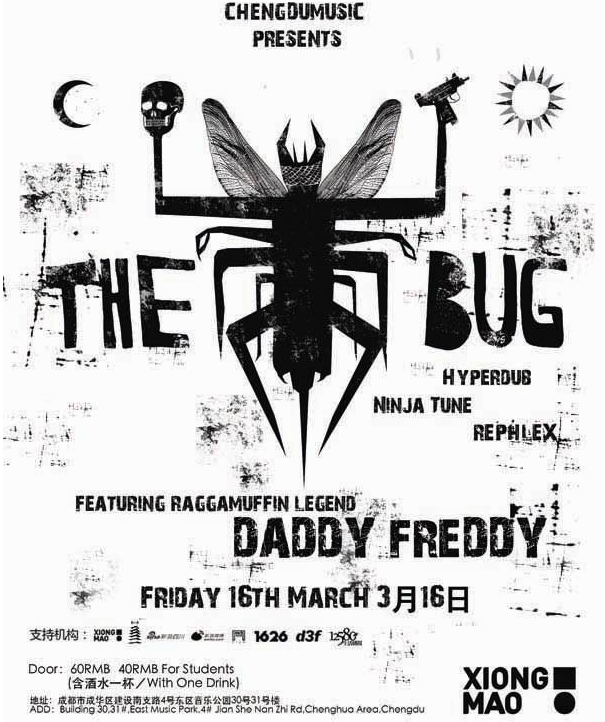 For example every Wednesday there’s a Funk event, “Funk Wednesday”, Thursdays there’s an Open Deck, and there’s plenty of Old School Hi-hop stuff going on there, recently there’s also be a “Dark music” themed event. They’re all pretty awesome local DJ/ Producers hanging out, playing music and enjoying it. The owners of HWG are as predicted pretty awesome people, generous, welcoming and always plying me with alcohol. Recently HWG had a DJ Krush event, which made me feel like the spirit of Underground Club is still alive. " " Actually here isn’t like Beijing and Shanghai, there’s not too many instances of quick big success, it’s a really Chilled out place. " "This picture is from my first show so I use it even today, photo by Wang Tieling"
"The poster of the first time I took part in a Discodeath gig, I’m really grateful to Charlie for supporting"
" 2009, I was heart broken for about 2 years after Underground shut down, but I couldn’t give up on my love for music.I started learning how to make my own music. My good friend, a well known Shanghai Producer Tadi, helped me a lot. I learnt really quickly and joined a music label that had just started in Chengdu at the time, Mintone. I started working with some artists like my friend audio visual artist Hibanana and later I worked on the music for some independent films. 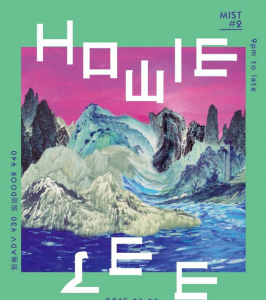 Through making my own music I began to meet a lot of other producers, like Howie Lee. Actually it was him who pushed me to become a DJ — 2010 I brought him to Chengdu for a gig (It was a good excuse to get him here to hang out and party, at the time everyone’s music was in the early stages, just starting out) and he asked me to be his warm up act, so I apprehensively got up on stage and did it. I used Ableton Live + Controller and played some electro stuff, though at the time I was really interested in DnB, so finally I decided I wanted to develop my DnB music. 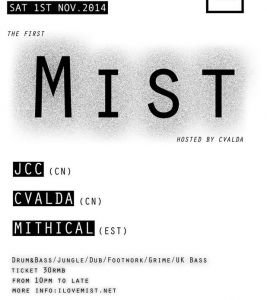 I soon joined the local party label DiscoDeath — started by American musicians Just Charlie and Jovian. (They later went on to found the famous House Party venue Dojo ) I started taking part in their gigs. We had really interesting gigs at Panda Club, there was a lot of support. I took part in a lot of really amazing gigs including the time I shared the stage with DJ Shadow. " " The power of the Chengdu locals is not to be underestimated. For example previously mentioned DJ Lee, Panda Club's Tan Zhong, Geezer, and the Venues HWG, TAG and NASA's owners. All sorts of different musicians, promoters, DJs and people who love music have made huge contributions to the scene here. " 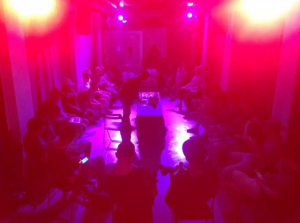 "On Sunday the 26th of June Me and HARIKIRI did the first local electronic music producers salon — Beatmakers Chengdu, We were really surprised to realise that there’s about as many local producers in Chengdu as you would expect to find in Beijing and Shanghai. The skill level is also quite high, it’s just that their stuff isn’t exported, or they’re not well known enough. The good thing is we’ve finally started and we’ll keep doing workshops. In terms of DJs in Chengdu, there’s a lot of 4x4 beat and now there’s more and more bass DJs. There’s also all sorts of people putting on parties and founding party labels, I can’t even keep count these days. Although there’s a lot of different elements mixing together here, people still have really high standards. It’s really difficult to promote the music here to the outside world. It’s not like Beijing and Shanghai here, there’s no big success, everyone’s really chill, that’s probably the reason they’re not well known outside Chengdu actually." " Us at the 7-11, New Jiuyanqiao, Soho flyover walking bridge, KFC toilet, Crazy parties. " 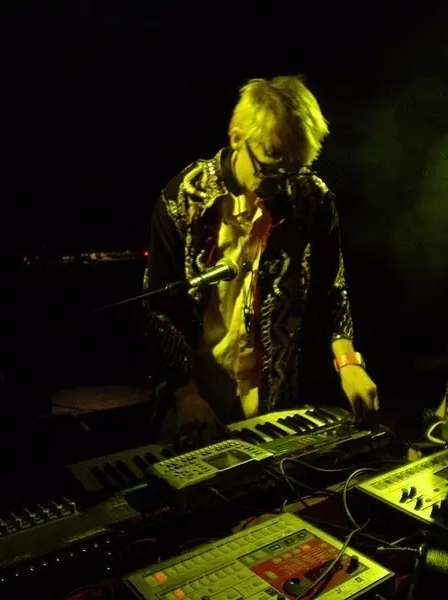 " Foreigners have been really important to the Chengdu underground scene. 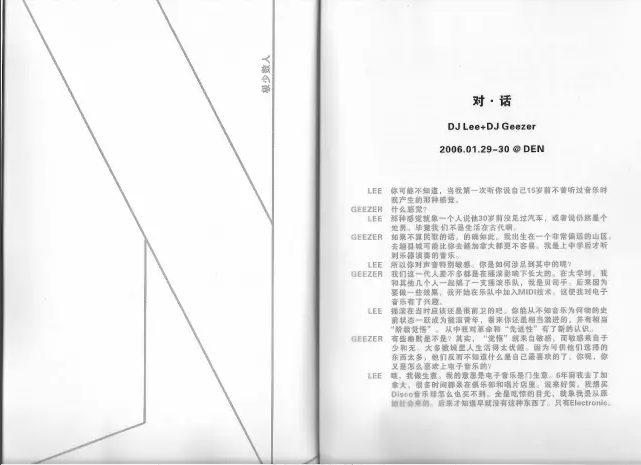 For example the first DnB party was a German guy’s event, he was the first DnB DJ in Chengdu — Joe. 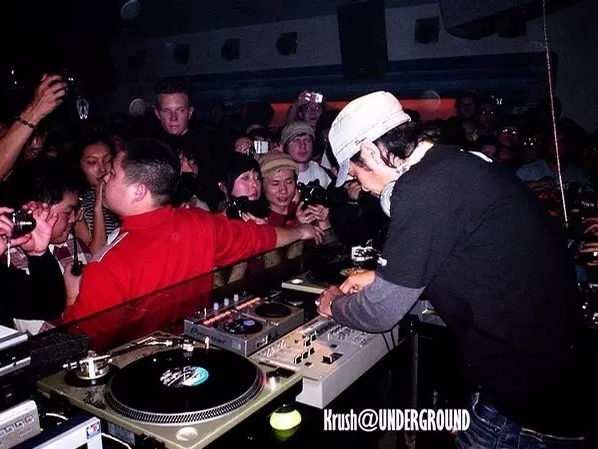 It was around 2003, not long after that he put on a huge Bass party in the underground part of the Sichuan gymnasium, I partied so hard at that party. 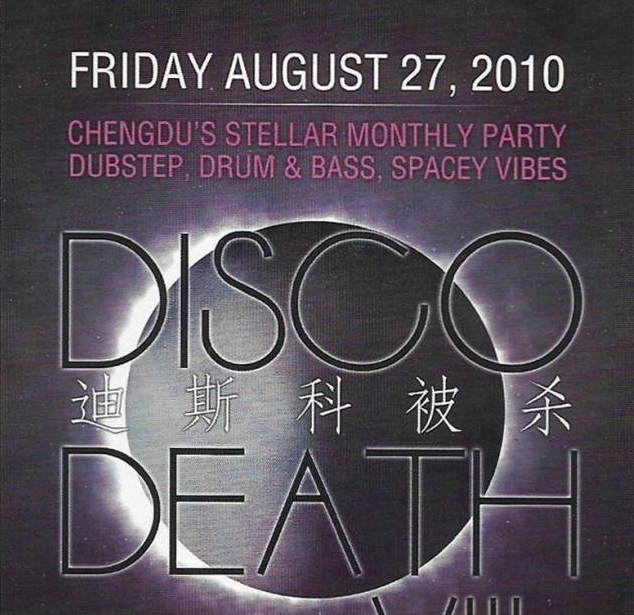 Bass label DiscoDeath was one of the earliest in China to bring all sorts of amazing Bass artists including Conrank, Siesta and JCC to Chengdu. After that they started Dojo together — this had such a huge influence on Chengdu. 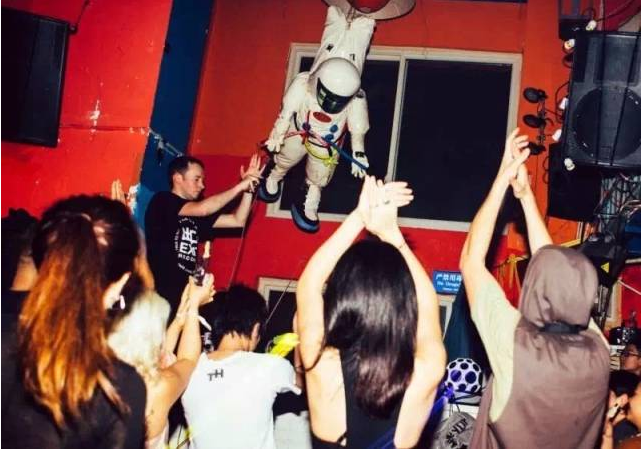 They had a reputation for huge crazy house parties (Because of an incident in Shenzhen, a bridge underpass outdoor rave where a bunch of foreigners were arrested and deported for drugs Dojo stopped doing parties). At the time, previously active in putting on parties at Panda club, English DJs Andy and Dave also had their own party label MODE. 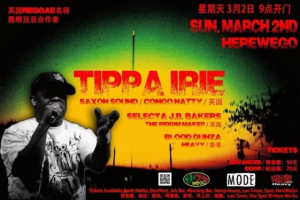 They worked together with groups like HeavyHK, Sub-Culture, bringing a lot of amazing musicians to Chengdu including Kode 9, Scratcha DVA, Tippa Irie and more. 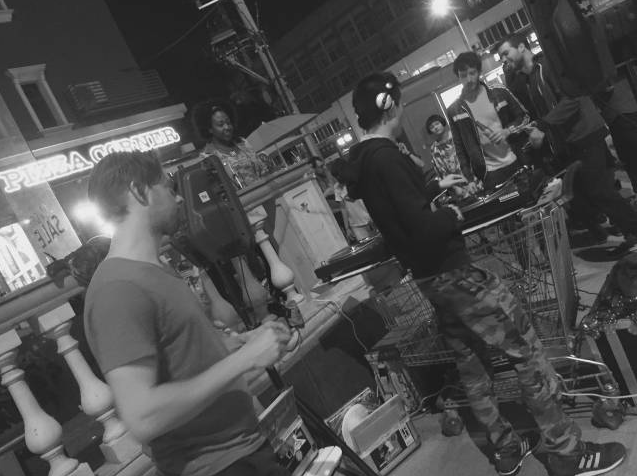 Also the lovable Dutch Marco, started using a shopping trolly to store all his DJ equipment including; a wooden DJ table, Car battery for electricity, Speakers, mixers and he started the Street party concept. He would send a location out for where the street party was and his fans would follow. We went to one at 7-11, under a bridge in new jiuyanqiao, the Soho fly over walking bridge and a toilet in KFC. " " The people in the scene are always changing, but the power of young people can’t be ignored. NASA’s been successful in that they’ve captured local young people's consumer psychology. The music they choose is really popular with that crowd. 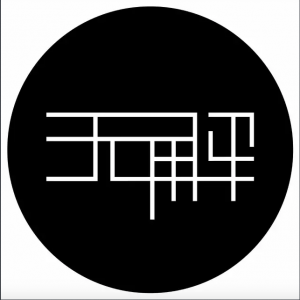 TAG’s music is generally 4x 4 beat, the people in TAG tend to be slightly older, also they follow the Berlin style long set, TAG also brings in quite a lot of big name DJs." " The last 2 years Chongqing’s underground party culture has started to take off and is developing rapidly. 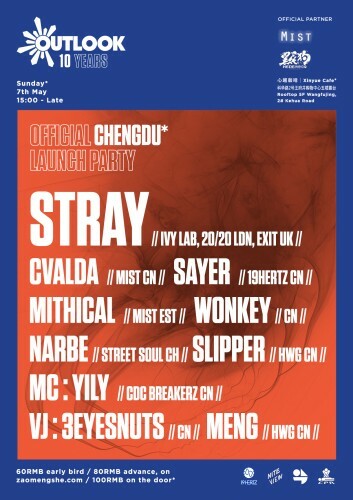 Lots of DJs are going to Chongqing to perform now and there’s also more party labels and promoters. For my tours I always organise a stop at Nuts Live House. Because it’s really close to Chengdu, on the fast train it’s 2 hours give or take, so at the moment Chongqing an amazing fast developing place. Chongqing people are sort of hungry for good parties. " " Actually Chengdu really is the cultural capital of the south west. Since Chongqing is so accessible now the two cities have a really interesting cultural exchange going on. 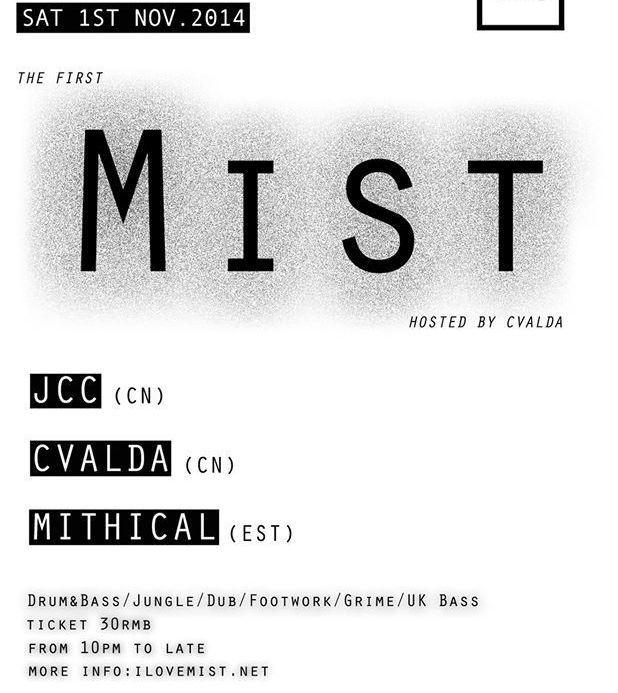 And in 2 weeks for the first time I’ll be taking Mist’s tour to Guiyang, because finally they’ve got the perfect venue for this kind of music — LOCAL and they’ve got really good local support there - - a friend of mine has his own label out there “Organic music Radio” and also there's local Jamaican/ Bass music promoter and music legend RASRANKIN. Today he told me soon there will be a fast train going between Chengdu and Guiyang, when that happens things are going to change. I’m really looking forward to that. "